Granger Spartan Boys Basketball lost to La Salle in the loser out game of District in Granger 64-50 on Friday, February 15th. Trennen Slade scored 21 and Andre Castro added 15. Granger – Slade 21, Russell 4, Cardenas 0, Herrera 6, Castro 15, Asher 0, Casillas 0, Chavez 0, Soliz 4. La Salle – Bartles 0, O’Connor 2, Kershaw 19, Gaethle 5, Randhawa 16, Saddedin 7, Sedgwick 15, Quesnell o, Bewley 0, Acosta 0. Granger Boys Basketball lost the opening of District 74-37 at Connell on Thursday, February 7th. Trennen Slade score 9 and Andre Castro added 8. Granger – 0 Torres 0, Slade 9, Russell 5, Cardenas 2, Herrera 7, Castro 8, Asher 3, Casillas 0, Chavez 4, Valensuela 0, Soliz 0, Bermudez 0. Connell – N. Chase 5, Morrill 2, Castillo 2, Colclasure 14, Easterday 2, Sidamdouane 2, Smith 8, Moore 0, Herrmann 2, Riner 9, S. Chase 24, C. Chase 0. Granger – Torres 0, Slade 22, Russell 2, Cardenas 2, Herrera 5, Castro 4, Asher 0, Casillas 4, Chavez 0, Soliz 4. Zillah – Diaz 28, Salinas 27, Ellis 2, Vance 0, Magana 5, Godina 12, Van De Graaf 7, Kibbee 8, Avila 0, Hibbs 14, Delp 8. 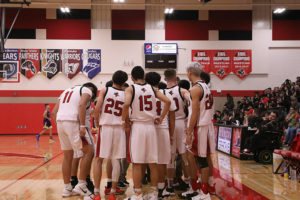 Granger Spartan Boys Basketball defeated Cle Elum 74-55 in Granger on Saturday, January 26th. Trennen Slade scored 22 and Andre Castro had 16. Granger – Torres 0, Slade 22, Russell 8, Cardenas 2, Herrera 9, Castro 16, Asher 0, Casillas 8, Chavez 2, Soliz 7, Bermudez 0. Cle Elum – Rinaldi 31, Bierek 2, Carson Razee 13, Kelly 5, Ellison 4, Cale Razee 0, Wilson 0, Singh 0, Handsberry 0, Montgomery 0, Bator 0. 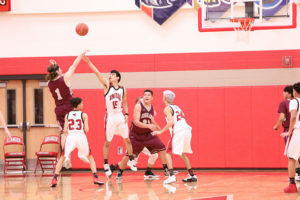 Granger boys basketball lost 80-57 at La Salle on Friday, January 25th. Trennen Slade scored 22 for the Spartans and Adrian Soliz added 12. Granger – Torres 0, Slade 22, Russell 0, Cardenas 2, Herrera 7, Castro 6, Asher 3, Casillas 3, Chavez 0, Soliz 12, Bermudez 2. La Salle – Bartles 0, O’Connor 7, Seaman 0, Kershaw 15, Gaethle 10, Randhawa 18, Saddedin 12, Sedgwick 12, Quesnell 6. 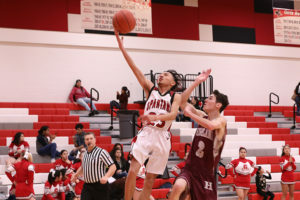 Spartan Boys Basketball won at Highland 59-29 on Friday, January 18th. Andre Castro scored 19, and Trennen Slade & Cas Herrera had 13 apiece. Granger – torres 0, Slade 13, Russell 3, Cardenas 4, Herrera 13, Castro 20, Asher 0, Casillas 3, Chavez 0, Solis 3. Highland – Keller 6, Campos 4, Diaz 6, Pena 2, Ponce 9, Palacios 0, Salmeron 2. Granger Spartan Boys Basketball 40, Naches Valley 50 at Granger on Tuesday, January 15th. Trennen Slade led Granger with 15 points and Andre Castro added 10. Granger – Slade 15, Russell 6, Herrera 8, Castro 10, Soliz 1, Casillas 0, Chavez 0. Naches – Lloyd-Watson 16, Deaton 10, Sloan 12, Kent 4, Andrews 8, Green 0, Nedrow 0, Mueller 0. Granger Boys Basketball won over Goldendale 75-68 at home on Saturday, January 12th. Trennen Slade scored 26, Andre Castro netted 23, RJ Russel had 12, and Cas Herrera added 10 to lead the Spartans. Granger – Slade 26, Russel 12, Herrera 10, Castro 23, Chavez 2, Soliz 0. Goldendale – Seibert 2, Lee 13, Ihrig 2, Owen 12, Mains 7, Keyser 20, Layfield 2, Lorton 10. Granger Boys Basketball lost 91-39 to Zillah in Granger on Tuesday, January 8th. Cas Herrera scored 12 and Andre Castro added 11. Granger – Slade 7, Russell 6, Herrera 12, Castro 11, Soliz 1, Bermudez 2. Zillah – Diaz 12, Salinas 21, Vance 8, Magana 2, Godina 17, Van De Graaf 4, Kibbe 2, Ide 10, Avila 0, Hibbs 4, Delp 11. Spartan Boys Basketball defeated Cle Elum 67-30 on the road on Saturday, January 6th. RJ Russell scored 13 points and grabbed 13 rebounds, Andre Castro scored 12 and Trennen Slade scored 10. Granger – Slade 10, Russell 13, Cardenas 3, Herrera 9, Castro 12, Asher 0, Casillas 4, Chavez 9, Soliz 5, Bermudez 0. Cle Elum – Razee 4, Rinaldi 9, Kelly 4, Wilson 3, Hansberry 1, Bator 7, Ellison 2. Granger Boys Basketball 43, La Salle 79 at Granger on Friday, January 4th. Trennan Slade scored 8 and Adrian Soliz added 7. Granger – Slade 8, Russel 6, Cardenas 1, Herrera 0, Castro 7, Asher 6, Casillas 6, Chavez 0, Soliz 7, Bermudez 2. La Salle – Bartles 2, O’Connor 5, Seaman 2, Kershaw 22, Gaethle 6, Randhawa 24, Sadeddin 5, Sedgwick 6, Esquivel 3, Acosta 0, Quesnell 4. 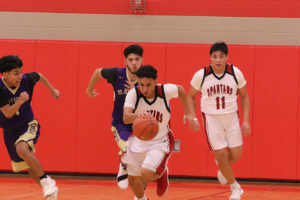 Granger Boys Basketball lost to White Swan 56-51 on Saturday, December 29th at the Granger Christmas Classic Tournament. Andre Castro scored 14, Trennan Slade had 12 and RJ Russel had 10. Granger – Slade 12, Russell 10, Cardenas 0, herrera 9, Castro 14, Chavez 0, Soliz 7. White Swan – Blodgett 9, Bill 4, Sampson 7, Bass 2, Abrose 4, Leavitt 15, Soaring Eagle 15, Lopez 0. 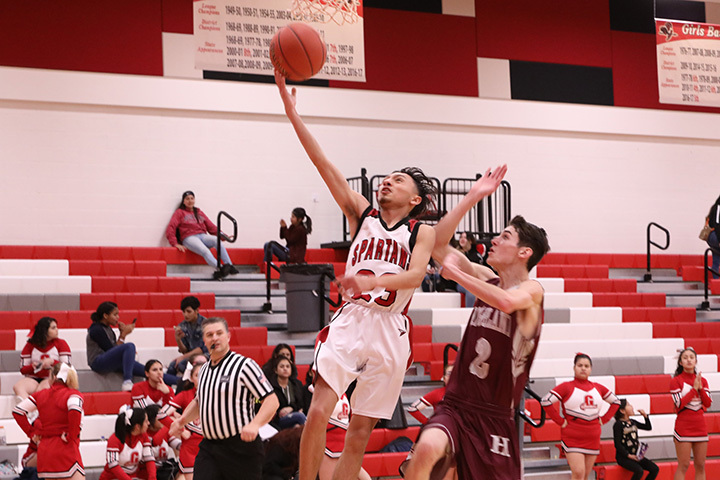 Granger Spartan Boys Basketball won 68-64 over Wahluke on Friday, December 28th at the Granger Christmas Classic Tournament. Andre Castro scored 23, Trennan Slade 17 and Cas Herrera 15. Granger – Slade 17, Russell 7, Herrera 15, Castro 23, Soliz 6, Cardenas 0, Asher 0, Casillas 0, Chavez 0, Bermudez 0. Wahluke 0 Garza 2, Contreras 0, Ramirez 8, Zirker 4, Cisneros 0, Perez 18, Yorgesen 3, Buck 6, Valdez 2, Mendoza 6, Marlow 12, Soto 3. 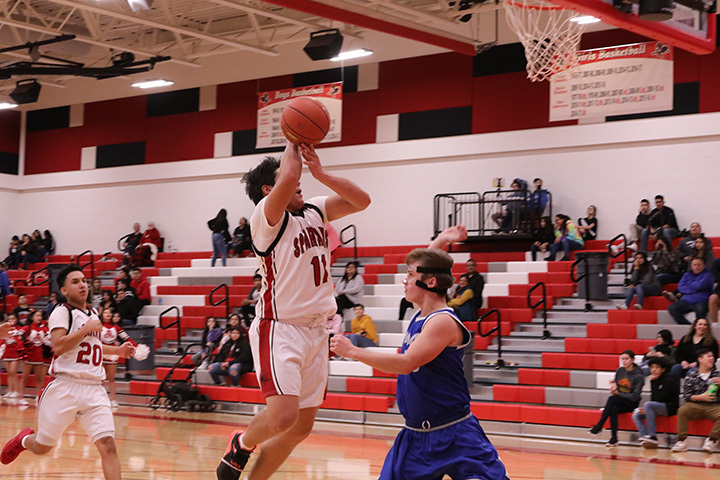 Granger Spartan Boys Basketball 62, Naches Valley 78 at Naches on Tuesday, December 18th. Trennen Slade had 18 points Andre Castro and Cas Herrera added 13 apiece. Granger – Slade 18, Russel 8, Herrera 13, Castro 13, Asher 3, Casillas 5, Chavez 2, Soliz 0. Naches Valley – Lucas 15, Nedrow 7, Kohl 0, Lloyd-Watson 4, Deaton 24, Sload 14, Mueller 2, Kent 0, Andrews 12. Granger Boys Basketball 66, Highland 29 at Granger on Saturday, December 15th. Andre Castro scored 26, Trennen Slade had 18 and Cas Herrera scored 10. Granger – Slade 18, Russel 7, Cardenas 1, Herrera 10, Castro 26 Casillas 2, Chavez 2. Highland – Keller 7, Campos 2, Diaz 4, Pena 6, Ponce 4, Naranjo 6. 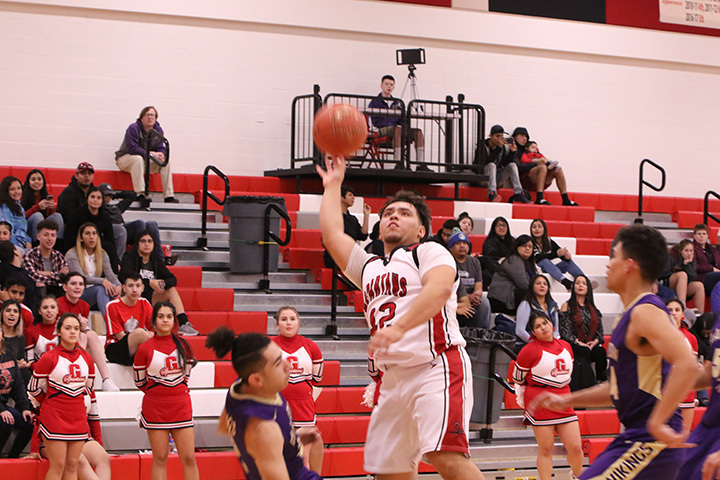 Granger Spartan Boys Basketball won 85-52 at Goldendale on Friday, December 14th. Andre Castro scored 27 points hitting 7 3-pt shots and Trennen Slade added 12 points. Granger – Ornelas 5, Slade 12, Russell 9, Cardenas 2, Herrera 9, Castro 27, Asher 5, Casillas 6, Chavez 1, Soliz 9. Goldendale – Siebert 6, Lowe 1, Lee 9, Ihrig 15, Mains 7, Layfield 2, Lorton 11, McKune 1. Spartan Boys Basketball 47, Cashmere 81 on the road on Saturday, December 8th. Trennen Slade led Granger with 13 points, RJ Russel had 10. Granger – Ornelas 3, Slade 13, Russell 10, Herrera 6, Castro 7, Soliz 8, Chavez 0. Cashmere – S. Phillips 18, Smith 6, N. Phillips 7, Landdeck 29, Dotson 2, Schoening 2, Farias 2, Alberts 15. Granger Boys Basketball beat Mabton 73-53 at home on Friday, December 7th. Trennen Slade had 20 points, Andre Castro had 18 and Cas Herrera added 14. Granger outscored Mabton 21-4 in the 3rd quarter. Granger – Slade 20, Russell 8, Cardenas 2, Herrera 14, Castro 18, Chavez 2, Soliz 9. Mabton – Enriquez 3, McCallum 10, Maredo 3, Zavala 20, Galarza 6, Ramirez 3, Espinoza 2, Ramos 2, Morales 4. Granger Spartan Boys Basketball 51, Toppenish 62 in Granger on Tuesday, December 4th. Andre Castro scored 26 and Trennen Slade added 13. Granger – Ornelas 1, Perez 0, Slade 13, Herrera 4, Castro 26, Asher 0, Casillas 2, Chavez 0, Soliz 5. Toppenish – Felan 8, Chris Grant 12, Houle 0, Mesplie 14, Ramirez 6, Rangel 0, Vasquez 6, Jason Grant 13, Robledo 0. 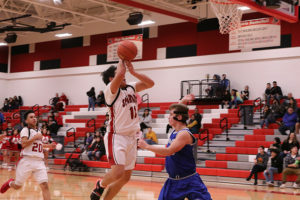 Spartan Boys Basketball lost to Chelan 88-59 at home on Saturday, December 1st. Andre Castro score 20 points and Trennen Slade had 11. 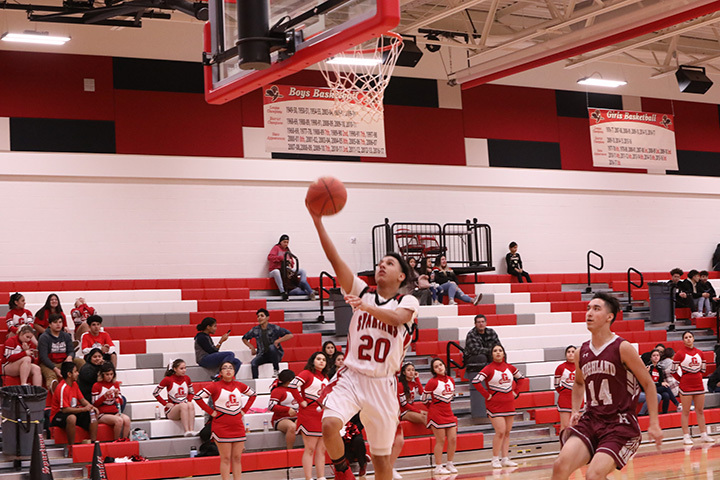 Granger – Ornelas 5, Slade 11, Herrera 6, Castro 20, Asher 6, Chavez 2, Cervantes 2, Soliz 7. Chelan – Mendivil 8, Wilson 24, Oules 3, Habich 3, Austin 13, Jackson 4, Stamps 17, Christopherson 17. 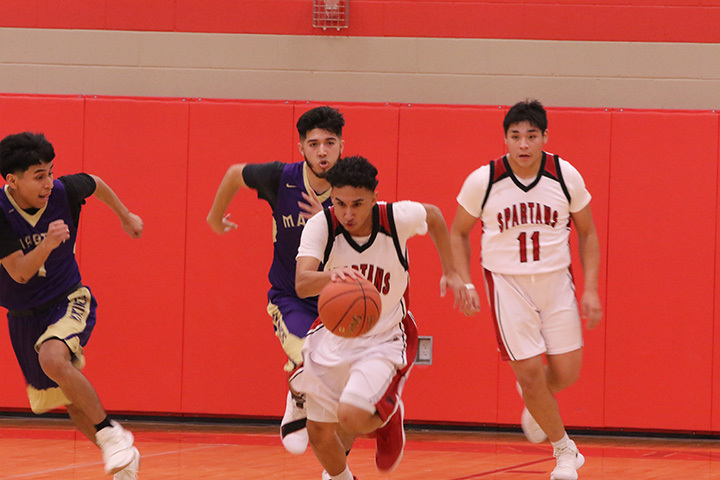 Granger Spartan Boys Basketball lost at Warden 75-66 on Friday, November 30th. 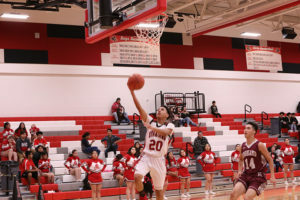 Andre Castro scored 23 points, Trennen Slade had 15 and Nico Chavez added 10. Granger – Ornelas 3, Perez 2, Slade 15, Herrera 8, Castro 23, Asher 3, Chavez 10, Soliz 2, Cervantes 0, Casillas 0. Warden – Arriaga 9, Egia 6, Hardman 10, Kaden Skone 11, Richins 22, Skone 2, Martinez 15. 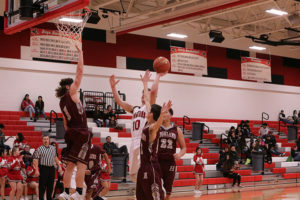 Spartan Boys Basketball lost 65-51 at Connell on Tuesday, November 27th. Trennen Slade scored 18 points. Granger – Ornelas 2, Slade 18, Russell 8, Herrera 0, Castro 7, Casillas 0, Chavez 0, Cervantes 0, Soliz 7. Connell – N. Chase 2, Pauley 16, Morrill 1, Castillo 0, Colclasure 4, Easterday 0, Smith 10, Herrmann 0, Riner 3, Silas Chase 26, C. Chase 0. Copyright © 2019. Granger Athletic Booster Club. All Rights Reserved.